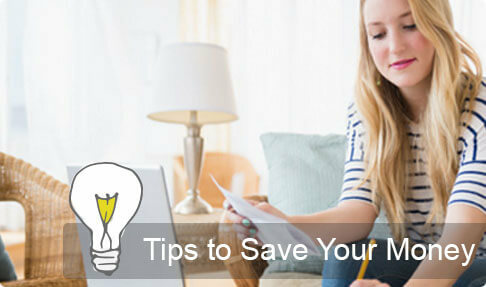 Find out how you can lower your bills, improve your credit score, and better manage your finances. 1, 3, or 5 years? Here are the results that were generated based on your loan choices. Review the short term loan estimation below to ensure you can afford the monthly installments. Please note: The short term loan calculator is for demonstrative purposes only. Every borrower's financial situation is unique and the actual loan details and payment schedule will vary based on availability and other factors. Apply now to quickly find out what your exact monthly payment will be. Even with bad credit, borrowers can apply for a short term personal loan that they can use for any purpose. The loan can be used to make a purchase or be used to pay off other loans. Using a short term loan to consolidate debt may reduce your overall cost of interest and make it easier to pay your bills on time and on schedule. Borrowers with bad credit may be able to improve their credit scores by paying off old debt and by making on time payments toward their short term loan. The bad credit loan calculator helps borrowers discover a financial strategy that can raise their credit score and improve their credit history. This free financial tool helps borrowers understand the costs and benefits of getting a personal loan. When assessing the results from the bad credit loan calculator, you may be surprised by how little money it will take each month to start a history of good credit that can improve your credit score. A personal loan is an affordable solution that is used by millions of Americans to consolidate and pay off high interest debt. A personal loan typically has lower interest rates and a more structured payoff plan than most credit cards. Plus, for borrowers with high interest credit cards and growing monthly bills, a personal loan can reduce monthly costs. When you pay off multiple credit card bills using a personal loan, this is called debt consolidation. The only bill you have to repay is the personal loan. That's one bill per month instead of 2 or more! Your expenses have decreased and frustrations have been eliminated. If you are needing to establish your credit history, money managers often recommend getting a personal loan. The best financial advice for any new borrower is to begin building your credit before you actually need a mortgage, car loan, or credit card. Get a loan, repay it on time, and repeat. When the time comes and you require a large loan to buy a house or invest in a small business, you have already built positive credit history and demonstrated creditworthiness. The more your build your healthy credit habits, the more you are approved for lower interest, longer term, and higher dollar loans. By following these beginner tips, you can become the ideal borrower that creditors are eager to finance. Whether you need to reestablish your credit or have a limited credit history, getting a personal loan can help all types of borrowers to achieve a good credit score and financial stability. Copyright © Bad Credit Loan Calculator, 2016-2019. All Rights Reserved.